We would love to hear from you if you have used the Behr Deck Stain on your wood or deck. Please post a rating in the Consumer Star Ratings below. Behr Deck Stain Stains consumer reviews below have shown issues with the application, drying unevenly, and peeling. We encourage you to read all the comment reviews below. If you have any pictures of your experience with Behr Deck Stain, you can add them in the comment area with a detailed description. 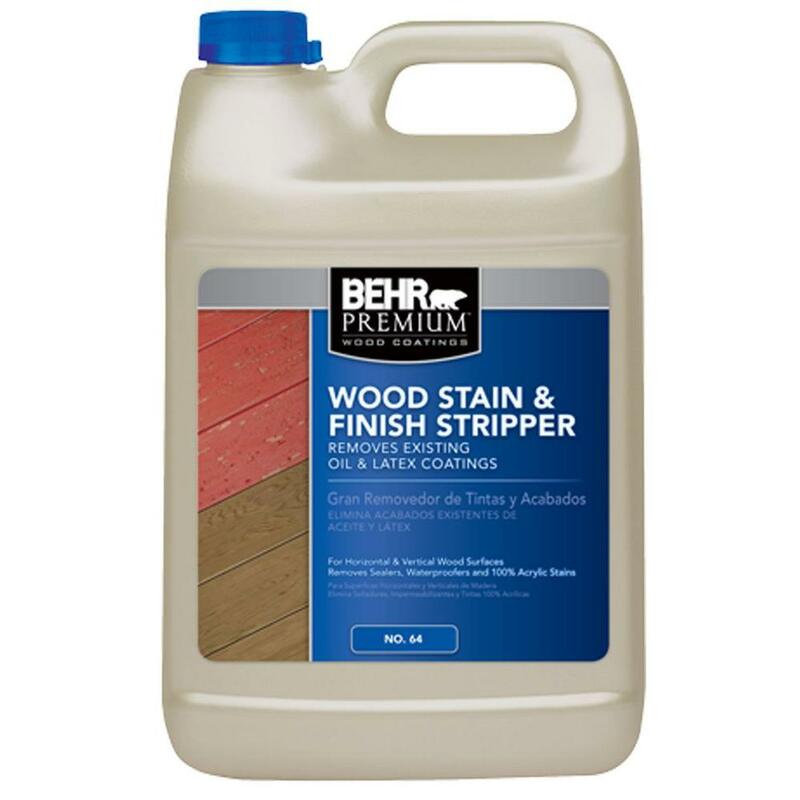 Note: See here if you need to remove the Behr Premium Semi-Transparent Wood Stain. 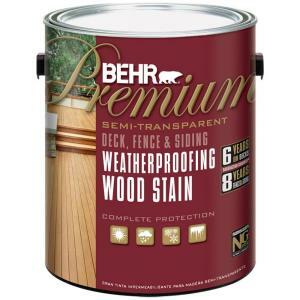 BEHR’s Premium semi-transparent wood stain offers a 100% acrylic formula that penetrates into the wood to deliver complete protection from the elements on decks, fences, and siding. The silicone-fortified formula protects from the sun’s harmful UV rays. Behr’s Premium Semi-Transparent Wood Stain is available in 83 custom colors allowing the natural wood grain to show through. 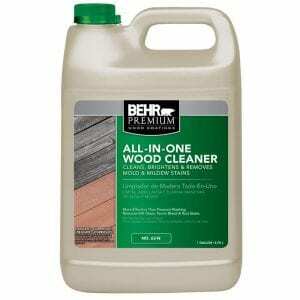 – Behr’s Premium Deck Stain is a 100% acrylic stain which means it is a water-based product. We found that the stain does not penetrate into the wood as promised in its description. The product had the look of a semi-solid stain, not a semi-transparent stain. 80-90% of the wood grain was masked by the heavy pigment. A good way to describe the finished appearance is to compare Behr Deck Stain to a watered down paint. The Cedar color we choose was much darker/redder than other brands. – Behr Deck Stain performed well in the areas where the stain was still on the surface of the deck after the 2 years of testing. – One of the worst stains that we have ever tested! The Behr Deck Stain had peeled on 80% of the decking surface. This stain seemed to offer little to no protection on the flooring after the 2 years. The railings did hold up much better.